30 May 2017 – Yangon, Myanmar: The largest sports media property in Asian history, ONE Championship™ (ONE), returns to Yangon, Myanmar on 30 June for another blockbuster evening of world-class, authentic martial arts action. 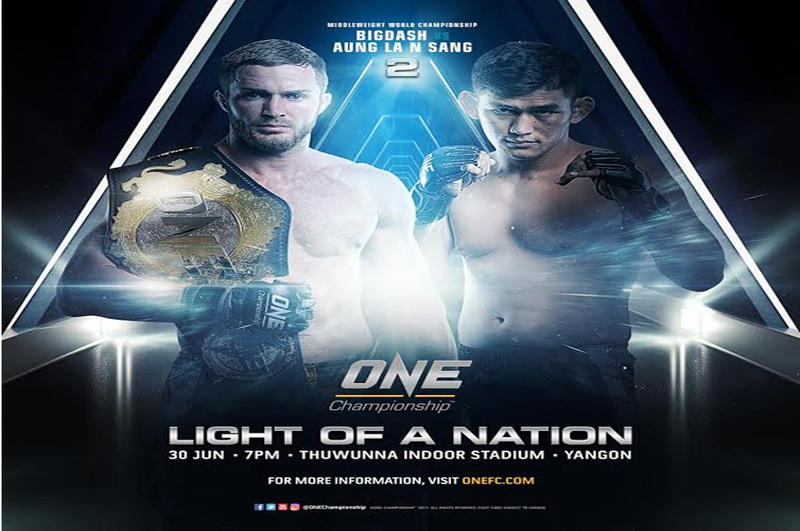 The Thuwunna Indoor Stadium is set to play host to ONE: LIGHT OF A NATION, featuring ONE Middleweight World Champion Vitaly Bigdash, who will defend his title against hometown hero “The Burmese Python” Aung La N Sang in the main event. ONE Championship’s return home to Singapore on Friday, May 26 shaped up to be one of the organization’s most exciting cards for this year as fireworks erupted inside the 12,000-capacity Singapore Indoor Stadium. With a solid lineup centered around an epic main and co-main event, ONE: DYNASTY OF HEROES lived up to its blockbuster billing as the world’s best martial artists delivered excitement and non-stop action. 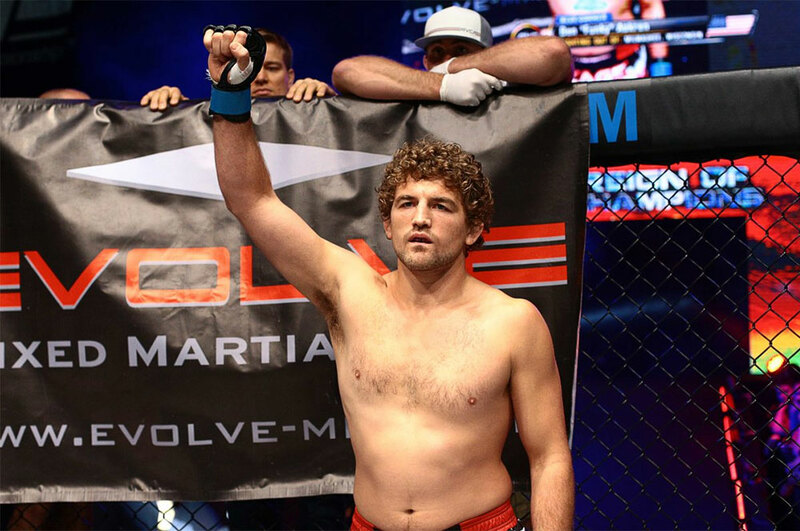 ONE Welterweight World Champion Ben Askren defends his world title against Malaysia’s Agilan Thani at ONE: Dynasty of Heroes May 26, Friday in Singapore. The unbeaten Askren says his heartbreaking elimination during the 2008 Beijing Summer Olympic Games which shattered his childhood dream fuels his drive to be the best in his sport. The largest sports media property in Asian history, ONE Championship™ (ONE), once again electrified the Singapore Indoor Stadium as the organization played host to yet another evening of authentic martial arts action. ONE: DYNASTY OF CHAMPIONS showcased the absolute best in local and international martial arts talent, featuring a packed card of compelling bouts that left the crowd on the edge of their seats. 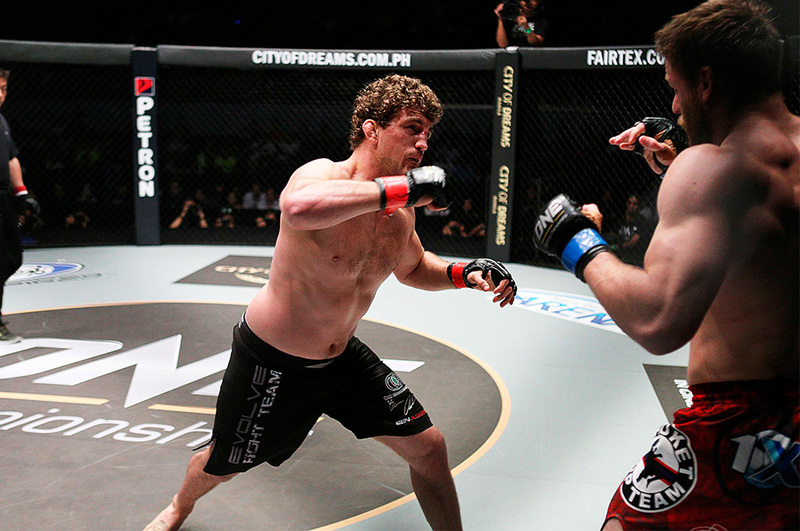 MMA superstar Ben “Funky” Askren is set to make his much-awaited return to the ONE Championship cage on 26 May as he stakes his undefeated record and the coveted ONE Welterweight World Championship title against fellow unbeaten fighter Agilan “The Alligator” Thani of Malaysia. Both men are scheduled to collide in the co-headliner of ONE: DYNASTY OF HEROES, which takes place at the 12,000-seater Singapore Indoor Stadium. Istela Nunes and Agilan “The Alligator Thani are considered promising prospects in the sport of mixed martial arts due to their talent and dedication to their craft. Both fighters are reaping the fruits of their labor as they slated to compete in separate world title contests on Friday, 26 May in Singapore. 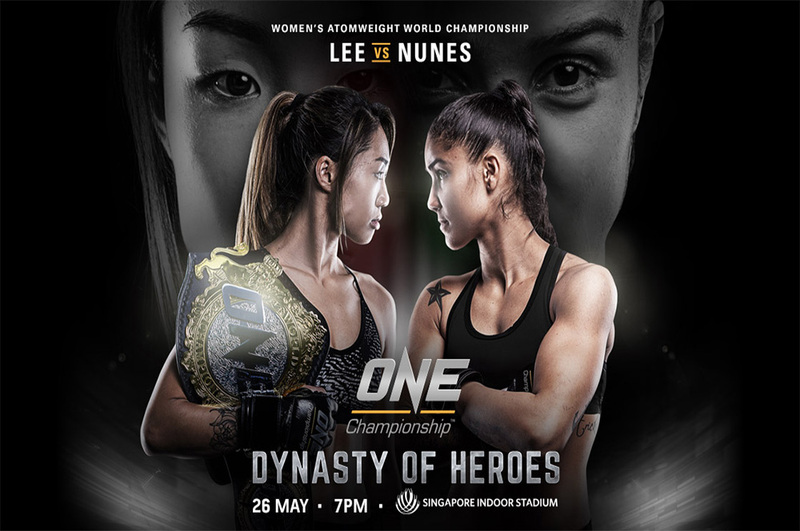 Nunes challenges Asian MMA sensation Angela “Unstoppable” Lee for the ONE Women’s Atomweight Championship in the main event of ONE: DYNASTY OF HEROES, while Thani vies for the ONE Welterweight World Championship against the division’s best in Ben Askren on the same card. 18 May 2017 – Singapore: The largest sports media property in Asian history, ONE Championship™ (ONE), has announced a partnership with GoDaddy, the world’s largest cloud platform dedicated to small, independent ventures. Both companies will work closely together to bring mixed martial arts in Asia to greater heights. GoDaddy branding is set to be featured at ONE: DYNASTY OF HEROES which will take place at the Singapore Indoor Stadium on 26 May. 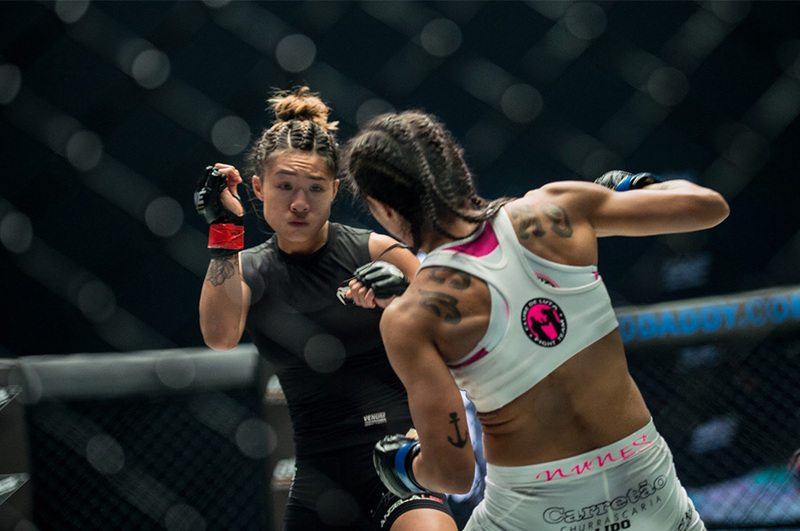 The main event of the card will feature ONE Women’s Atomweight World Champion “Unstoppable” Angela Lee as she defends her title against Brazil’s Istela Nunes. In the co-main event, ONE Welterweight World Champion Ben “Funky” Askren takes on rising young star Agilan “Alligator” Thani of Malaysia. Even though Geje “Gravity” Eustaquio is coming off a disappointing setback and facing a familiar foe as he makes his return to the ONE Championship cage, the celebrated Filipino martial artist remains optimistic that he will have his hand raised in triumph. Eustaquio faces fierce Thai rival Anatpong “Mak” Bunrad on the undercard of ONE: DYNASTY OF HEROES, which takes place at the 12,000-seater Singapore Indoor Stadium in Kallang, Singapore on Friday, 26 May. Singapore is in for a treat as one of the best welterweights in the Asia Pacific region has directed his career path to ONE Championship, which is widely considered as the mixed martial arts (MMA) juggernaut of Asia. Swedish standout Zebaztian “The Bandit” Kadestam will make his promotional debut under the ONE Championship banner on the undercard of ONE: DYNASTY OF HEROES, which takes place at the 12,000-seater Singapore Indoor Stadium in Kallang, Singapore on 26 May.